If you can handle the cold, get over to Cobb Energy Center for this final performance of West Side Story by our Atlanta Opera. I know you think of it as a musical play, but they have done other operas in English such as Pirates; and they are doing a spectacular job. This is a co-production with the Houston Opera, Lyric Opera of Chicago and Glimmerglas Festival in Cooperstown, NY. 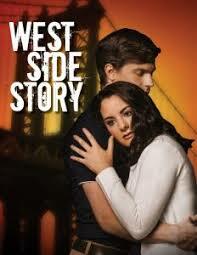 You have seen West Side Story before, and it is kind of a spin-off from Romeo & Juliet. But, you’ve not seen it in quite this staging, directed by Francesca Zambello. A fabulous set, a great cast of 33 singers, actors, and dancers draw you in to the possible problems in NYC in 1957 between the Jets and the Sharks and their claim to their hoods. It is a common practice for an opera to include some ballet scenes; but this one is over the top in that department. Tony (Andrew Bidlack) falls for that lovely senorita Maria (Vanessa Becerra). But, like the current film about Crazy Rich Asians, her family feels he is NQOT (Not quite our type) and therein lies the problem which ignites a bigger one. Every aspect of this performance is wonderful. You could catch any opera in NYC, London or elsewhere, and it could not possibly be better. Thank you Tomer Zvulun for opting to stage this one. Unlike some Wagnerian operas, presentations such as this, or Carmen or La Boheme are more likely to bring in new patrons. We salute you all !! !